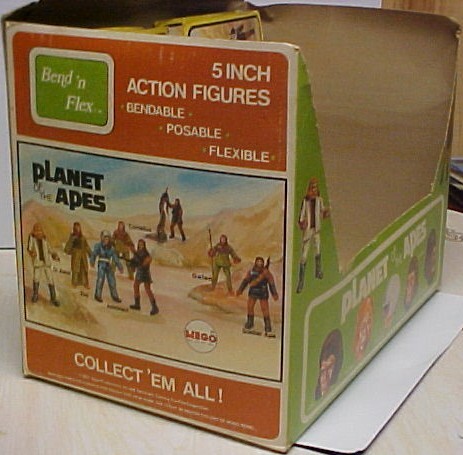 The Mego Planet of the Apes Bend ‘n Flex figures are approximately 5″ tall. 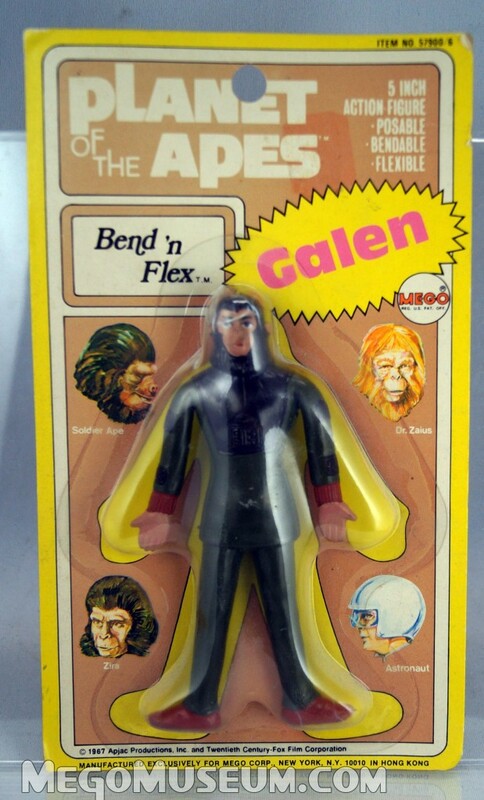 All five of the first series 8″ figures are represented, but Galen is the only one from the second series to make it to this format. 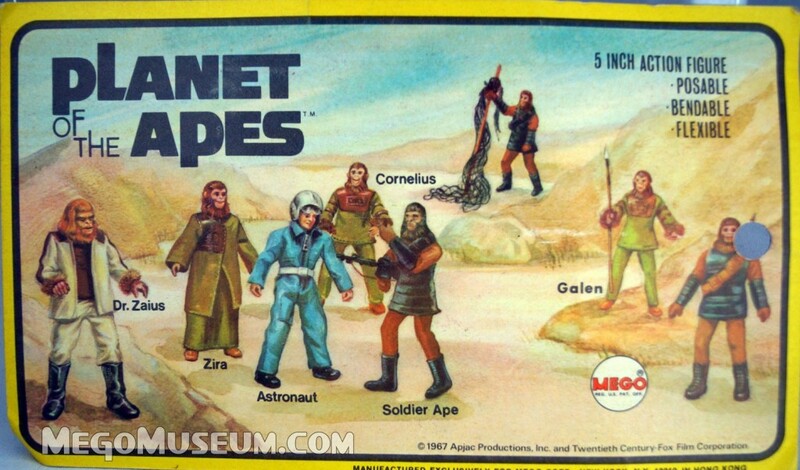 The back of the card (above) features a nice swip from the Doctor Zaius model kit by Addar, and Galen holding a spear, just like Galen never did in any way…. 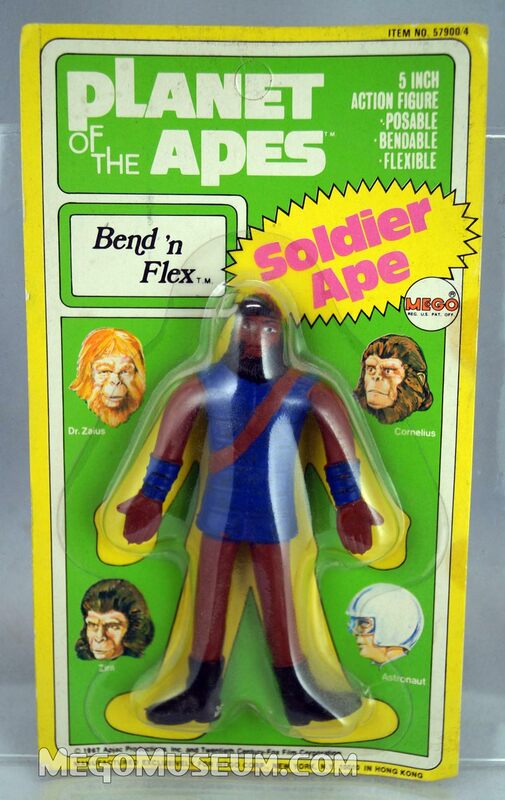 Mego also produced Bend n Flex Superheroes and proposed the format for Star Trek and Kiss. 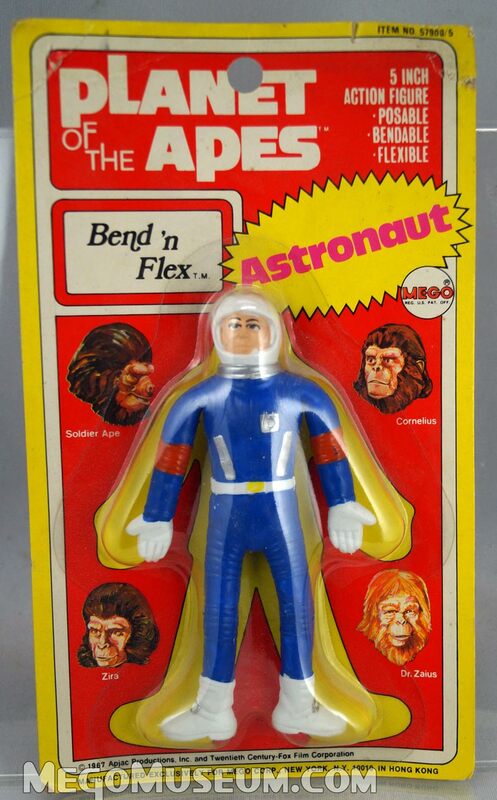 If I had to be honest, I prefer this interpretation of the Astronaut over the 8″ version. 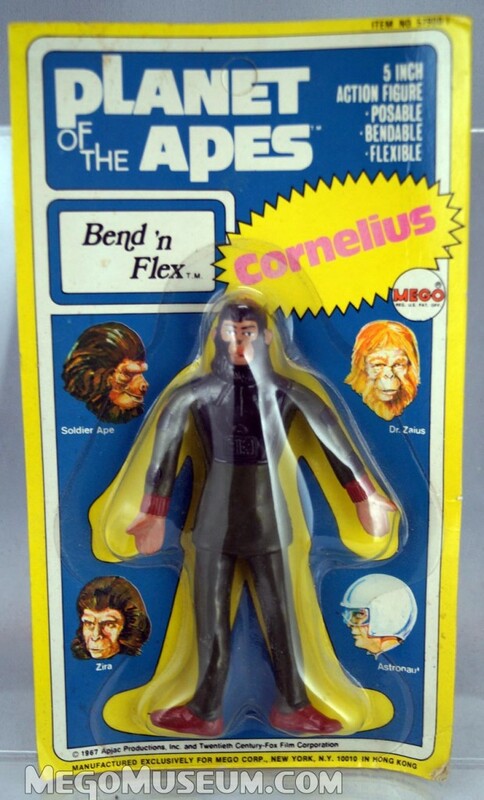 Just like the 8″ line Mego just repackaged Cornelius as Galen, note that Galen is the only character that doesn’t have the same card colour as his 8″ counterpart. 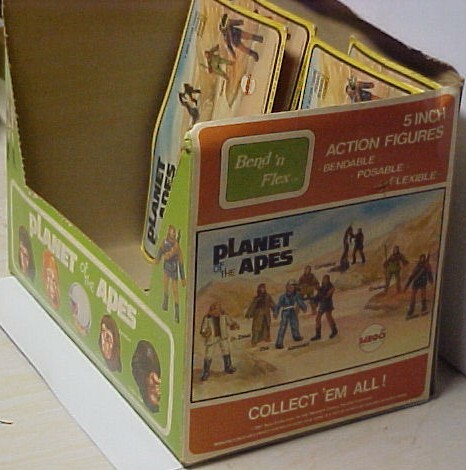 The Solider Ape is the most commonly found figure, especially carded and probably had a higher case pack than the other characters. 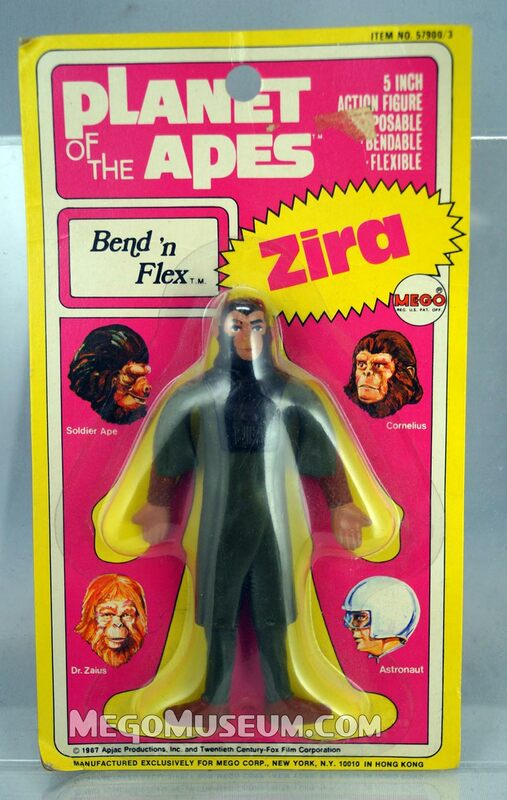 Zira is the hardest to find figure in the series and likely had the lowest production run. 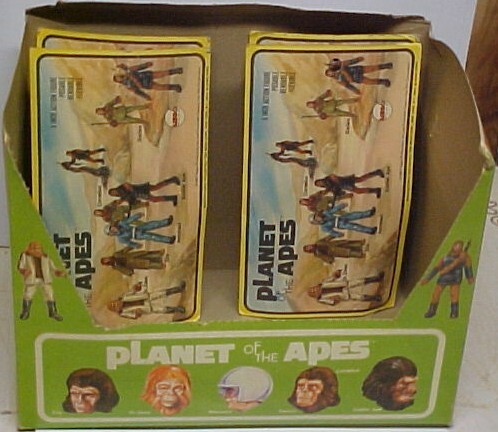 is an original retail counter display box for the figures. 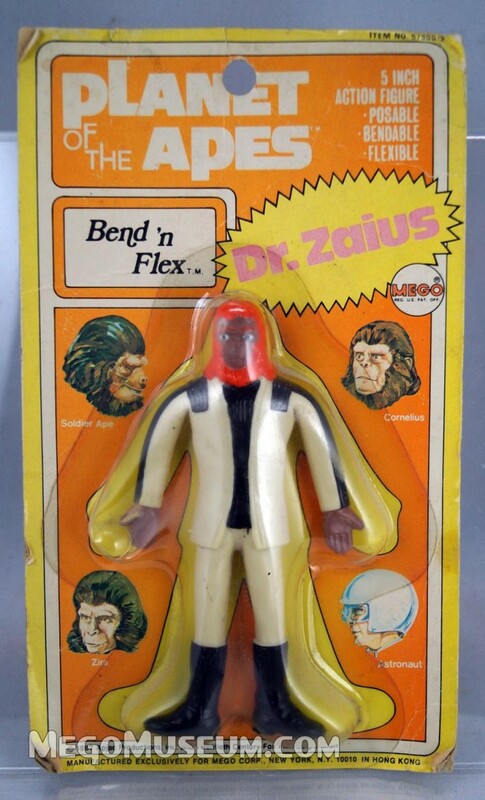 It’s extremely rare and may be the last one in existence.